With up to 40 hours of battery life, Beats Solo3 Wireless is your perfect everyday headphone. Premium playback and fine-tuned acoustics maximize clarity, breadth, and balance. Adjustable fit with comfort-cushioned ear cups made for everyday use. Take calls, control your music and activate Siri with the multifunction on-ear controls. 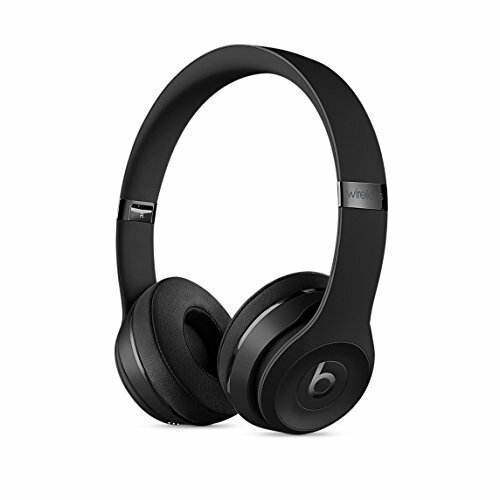 Comes with Beats Solo3 Wireless headphones, carrying case, 3.5mm RemoteTalk cable, Universal USB charging cable (USB-A to USB Micro-B), Quick Start Guide and Warranty Card..